This may come off sounding snobby, but I pretty much refuse to eat at McDonald’s, except under extreme duress. (Basically, only on road trips through the middle of nowhere with zero other options and/or urgent need to use their bathroom). I could list a whole lot of reasons for this, but suffice it to say, McDonald’s and I are just not on the same page environmentally, nutritionally, or ideologically. The thing is, I’m still not crazy about actually patronizing McDonald’s, and I never really know the timeframe of when they offer the Shamrock Shake, or if it’s only available at select locations. Plus, these things are (unfortunately) astronomically high in calories. 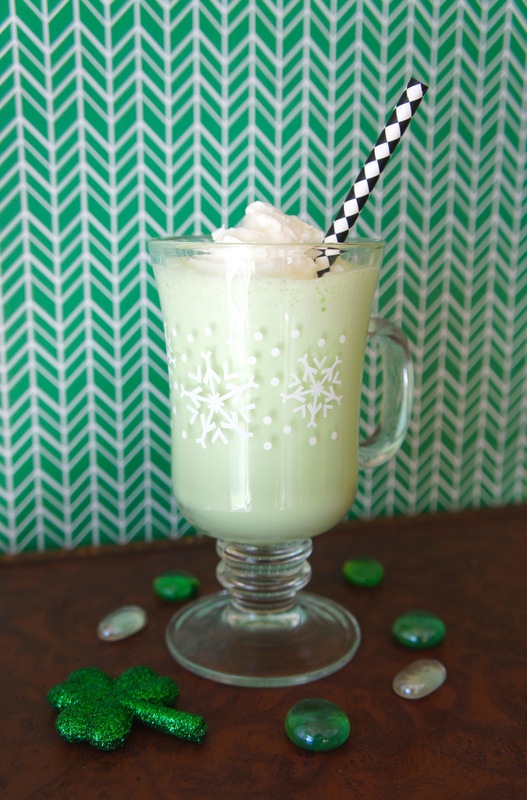 A small Shamrock Shake will run you 530 calories–a small! This year I finally realized I might as well just try making my own. Using just Breyer’s Homemade Vanilla ice cream, milk, a little green food coloring, and a few drops of peppermint extract (just enough to make it nice and minty but not toothpasty), this DIY version totally hit the spot. And at about 250 calories instead of 530, this will be my new go-to Shamrock Shake. 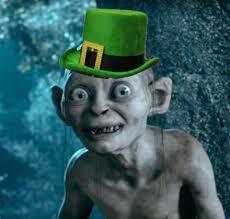 Craving satisfied, internal psycho Gollum voice quieted….until next year. Blend ice cream, milk, peppermint extract, and food coloring until smooth. Pour into a glass and top with whipped cream.